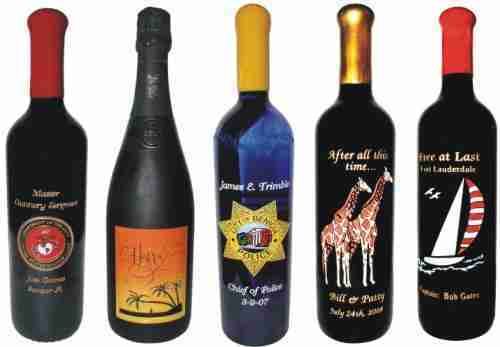 Welcome to Personalized Engraved Gifts, an ANE Designs company. The primary focus of the company when it was established in 1998 was decorative residential and commercial sand blasting. In Central Florida many homes, law offices, and stores especially at the Orlando International airport had designs and logos etched by ANE Designs. In 1999 with the millennium and Y2K approaching a few of our clients asked if we could engrave flutes and champagne bottles for their New Year's Eve Party and we gave it a try. We adapted our equipment to handle smaller items and started perfecting the craft of working with glass, crystal and wine bottles. If you attended the New Year's Eve Party at the Citrus Club in Orlando, the Millennium Champagne Bottle you still have on your bookshelf was engraved by us. 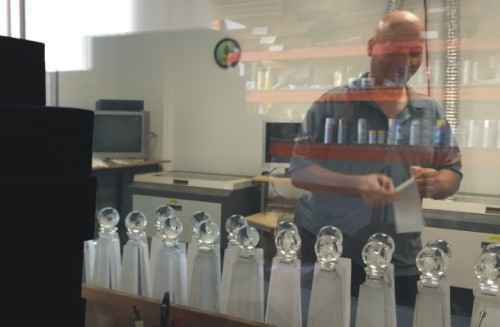 In 2000 we created Personalized Engraved Gifts and began focusing our attention on engraved crystal and glass gifts and awards. Our company grew because of our high attention to detail, flexible engraving process and willingness to work with clients. We engraved what "you," the customer wanted. 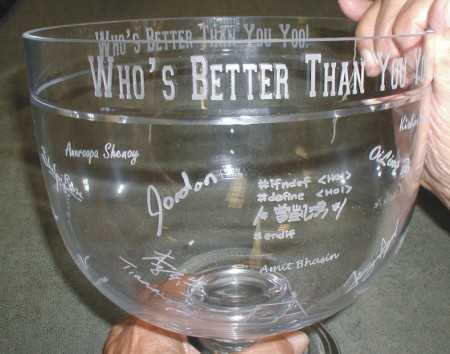 We didn't place character limits or engrave only in set areas, if you wanted your words of congratulations to run around the top of a bowl instead of being placed squarely on the front and you wanted the entire department's individual signatures - no problem we would figure out how to do it. If we have a motto I guess it would be "Quality Creative Engraving Made Easy." We were one of the first company's to create a website for our clients to order from. We started providing an artwork gallery of designs that customers could adapt for their specific gifts and provided a way for them to upload their own artwork. Through our easy online ordering process as customer orders come in we create a design specific to that order. Our graphics department sets up a proof with a variety of options that will work with that particular gift item. Proofs are emailed back to the client for approval, revised proofs are sent back and forth until the desired look is achieved. Our engraving processes vary from piece to piece. The process we use for glass, fine crystal and marble can best be described as sand-carving. The first step is preparing the stencil on each piece. Then we use diamond sand at high pressure to engrave as deep as possible into the glass, crystal or marble. This process creates crisp sharp edges and smooth even interior portions of letters and logos. Some companies use a laser to engrave directly onto the glass or crystal or just surface etch the item, although these processes create permanent designs they do not create the quality look we prefer. Wooden items on our site are engraved with a laser, which burns the design directly into the wood. Depending on the piece the wood can be color filled with a choice of metallic paint so the engraving will stand out. 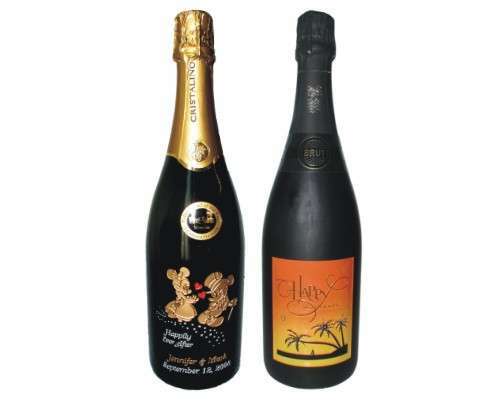 Our wine bottles are also engraved using the sand-carving process mentioned above. We are careful never to disturb the wine or the foil wrapper of the bottle. Each bottle is deep engraved and then hand painted. Depending on the design it can take a few days to complete the process. Over the years we've done some wonderful designs, we've place some snapshots of our favorite pieces in our photo gallery. Having been in business for over 15 years we've developed great relationships with quality suppliers of glass, crystal, marble and wooden products. The products you see on our website are of engraving quality. But we are always adding new items so be sure to join the thousands on our email list so that you too can receive weekly updates. Or join us on one of the social media sites. And we wouldn't be in business this long if we didn't have great customers. Our repeat customers have sustained us through 9/11 and the great recession. 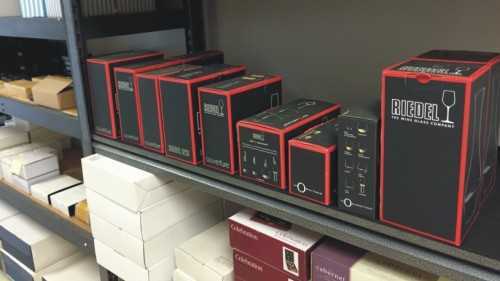 Many of our clients come back year after year, with our corporate clients ordering their annual awards like clockwork and individual clients ordering engraved wine bottles and gifts for birthdays, weddings, graduations, and retirement over and over again. We've included a few of their emails in our testimonial area, and I've noticed a few starting to post remarks on Google Plus and Linked-in in as well.